Last week I talked about why the Modern format looks as it does and what to expect out of it between now and the end of the season. Today I’ll dig a little deeper, looking at Richmond results and specific cards to have on your radar. The Top 8 of Richmond was, in a word, “boringashell.” There were twenty copies of Birthing Pod, with a full 62% of decks running the full set, split 4-1 between Melira Pod and Kiki-Pod. The decks overall are reasonably similar from our perspective. The manabases are a bit different, and a few 1-ofs are as well, but overall they play a very similar game. Is there anything unmined here? Fire-Lit Thicket is hanging around $10 and could climb upwards of maybe $20 if Kiki-Pod really catches on, but I expect Melira to continue to be the dominant flavor, which runs none. Gavony Township is in both lists and if it wasn’t printed as recently as Innistrad it would be a $15 card. It looks like it’s made it up to over $4 at this point and I’d say $7-$9 is probably a real ceiling between now and August. Grove of the Burnwillows holds steady at $40, having seen no real gain on the weekend. Misty Rainforest is obscene by now, joining Scalding Tarn, but we all already knew that. Razorverge Thicket is obstinately still $5-$6. I would guess we’ll see prices closer to $10 before the season is over. In the creature base across both decks, it seems like there’s still some room for growth on Restoration Angel. Kiki-Pod plays all four, Melira Pod plays at least one, and she’s also in plenty of other lists. She’s already risen to about $9, but I could definitely see her pushing $15 in the near future. At the very least she’s a safe pick-up in trade at that number. Thrun over on the Melira side got a little love this weekend and made it to $10 and I definitely see possible growth beyond that. He’s been close to $20 in the past and he could get there again. He serves the beats against both combo and control, surviving through everything. If midrange manages to drag itself back into the metagame, Thrun definitely has a role. Moving on to the other half of the Top 8, Blinkmoth Nexus, Inkmoth Nexus and Glimmervoid could both grow a bit, but I doubt we’ll see any doubling of prices. Arcbound Ravager is about $15 on the low end, with $20+ quite possible. Affinity has been around long enough that people are packing sideboard hate and it’s still winning, so there’s no question as to its resilience. Oh hey, did you know Steel Overseer is an $11 card? Yeah, neither did I until I sat down to write this. Mox Opal is a good $55, but I still don’t like it as anything but a soft hold into a hard sell. Moving out of the Top 8, Tarmo-Twin shows up again and has been prevalent on MTGO as well. Both Hinterland Harbor and Sulfur Falls seem capable of rising a few bucks, but I wouldn’t be shoveling money into them. Remand is currently experiencing a correction, so don’t buy in here. The Jace vs Vraska duel deck has one along with plenty of other cards people will want. Serum Visions is a $5 common, so go ahead and make sure you’ve dug all those out of your boxes. Sword of Feast and Famine in the sideboard is only a little over $20, which feels low to me. There’s only a single printing and it’s possibly the best sword overall at this point. It’s playable in Modern, Legacy, Cube, EDH, and kitchen tables, so the demand is clearly there. I see no reason to believe this won’t be $30 this year without a reprint. Spellskite continued to be basically everywhere, same as it was last season. The “wait that doesn’t have defender?” horror is pushing $20 now, and given that it is the 15th most played card in Modern and 2nd most played creature (behind only Snapcaster Mage,) we’re still on a train to twenty-five dollarsville with $30 a real possibility. Scapeshift is somehow nearly as expensive as Splinter Twin despite just being less desirable by nearly every metric. This tells me either one is underpriced or one is overpriced. My guess is that it’s a little bit of both, but if it’s going to break one way it’s more likely Twin is going up. Boseiju is running real low on available copies and a buyout could send this to $20+. I’m not saying it will happen, but if you don’t have a set now I’d suggest grabbing them. Having only been printed in Kamigawa and an FTV, the print run on this rare is nearly as low as you can get for a Modern-legal card. It’s usually only a sideboard card, but it’s an important one, and dedicated combo decks value it highly as there is basically nothing that can take its place. Phyrexian Obliterator has finally made a real debut between Valencia and Richmond, a meager five months after his spike. I’ve heard that people disliked the card though, and a deck like GB or GBX has plenty they can do with the slot. I doubt we’ll see any rising prices here unless someone really breaks a Mono-Black list that we haven’t seen yet. Twilight Mire is nearly $20 so there’s some precedent for the idea that Fire-Lit Thicket could get there. Abrupt Decay is still rising in price as a non-foil, which is pretty amazing for a Standard rare. I’d be vacuuming these up everywhere you can find them. We’re leaving the Standard PTQ season so you may be able to grab them for cheaper and they’ve got nowhere to go but up. It’s going to be a long mainstay of both Modern and Legacy. Liliana has been a bit sluggish lately but that may not last forever. If Thoughtseize sneaks back into the format she’ll likely be found alongside it. The flipside of that is that midrange had a pretty lackluster performance at two major events in a row. It may take some time before those attrition-heavy decks finally find their role in a post-Deathrite world. In the meantime, she’s a pretty ripe candidate for an auxiliary product reprint. Maybe she’ll headline FTV:Annihilation? She does do a pretty darn good job of annihilating your hand, board, hopes, and dreams. The last Banned and Restricted list did a lot to the format, and the “lot” and I’m referring to is basically “add more combo” to a format that was already close to saturated. Adding Wild Nacatl just heated the whole metagame up, allowing combo to supersaturate. (That one is for all you chemists out there. Enjoy it, because everyone else, including me, hated it.) Pod has had a target on its head since all the consistent turn two and three win decks were rooted out, and the last two events have only provided more evidence that it may be this format’s Survival. I want to be clear here – I’m not banging the war drums to get Pod banned. However I would be remiss if I didn’t call the possibility of such to your attention. There is another announcement roughly a month before the PTQ season starts and Wizards may decide they don’t want players slogging through round after round of epidural-free births. As good Bayesians, we need to recognize that such a thing could happen and make decisions based on our projected probability of that outcome along with our EV equations. No, I’m not going to do all the math. Basically, we need to ask ourselves how much risk we’re willing to shoulder based on how likely we think Pod will get axed, and what the upside and downside of both outcomes are. I am personally considering Pod a soft sell. I’m not firesaling, but the B&R change happens before the Minneapolis GP, which means WOTC has to use the information from the last two events along with whatever is happening on MTGO, for whatever that is worth. I can’t really blame anyone for whatever they decide here. On the one hand, if it isn’t banned, we could see $25-$35 in June. If it is banned, prices won’t deflate immediately but demand sure as hell will. You’ll be lucky to get $7 or $8 each. The more prudent among us will remind you of the old investing adage “nobody ever went broke making a profit.” Locking in your cash now is safe and reliable, a choice that is not unwise. I’m willing to let my (non-foil) ones go for now, and if they see significant rises in June I’m not going to feel bad about it. If you choose to hold that is perfectly defensible as well. I have a similar outlook on Pyromancer Ascension and Past in Flames, except only stronger. Wizards does not want Storm to be a particularly good deck in their format, and the lack of Thoughtseize and Liliana has only made it better. Is it too good? No, probably not. Does that matter? No, probably not. Both cards just saw a spike, and spiking even harder again is unlikely. Why hold them when the upside is limited and the downside is large? I’m getting rid of mine and being happy with what I make on them. There are other cards I’m a little more eager to ditch. Azusa is a fine sell since the deck didn’t perform and her price is quite high. I’d take $4 for my Amulets if I could get it as well, but it looks like it’s close to the floor again already so don’t fire sale here. 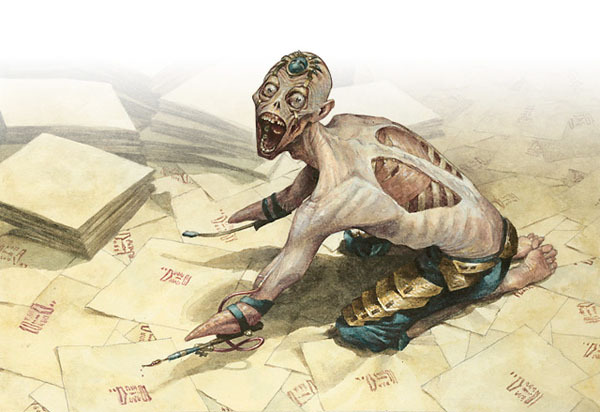 Ad Nauseam is similarly a fine card to ship. Like many of the cards in this section, the upside is minimal compared to a large downside. Runed Halo and Phyrexian Unlife definitely fall into this camp as well. Look at Runed Halo on TCGPlayer right now – nearly $15. There are copies of Birthing Pod for only $1 more. Do you really think Runed Halo is worth as much as Birthing Pod? Phyrexian Unlife, while not nearly as expensive, is fine to release into the wild. Basically, any cards in that same general category are hard sells if they spike. Things like Runed Halo or Amulet of Vigor are 95% of the time not putting up the consistent results needed to maintain their price tags. It’s the spikes on staples, Like Snapcaster Mage and Vendilion Clique that are real and sustainable. Anything that I haven’t gotten into is probably a hold. Downsides on staples are minimal at worst, and potential upsides are large. If a single GP can generate this type of demand, what will a sustained three-month PTQ season do? Thank goodness I bought the playset of pods for 4 bucks, I really expected to rise during the standard era but it never happened. Now is the time to reap what we saw. Can you elaborate on that Maro quote?